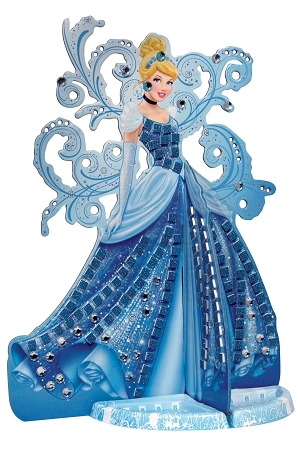 Princess 3D Jewelry Stand Fun Tile is a great activity for kids age 4+. Cinderella is girls favorite princess, perfect stand for their jewelry. Children can create their own jewelry stand with hundreds of glittering self adhesive jewels and tiles with an easy to follow design. Perfect birthday gift!